Summary: The debate about climate change has become extreme, as the news media declares quite typical weather (of any kind) to be “extreme” — carefully avoiding showing the historical data that would reveal the lie. This requires them to conceal the findings of the IPCC and the climate science literature, whose forecasts are usually less extreme and more conditional (ie, ranges, often with low degrees of certainty). The truth is out there if we wish to look. On the Internet you can easily find the IPCC reports, the climate science literature, and even the raw data. To make it easier, much of this is gathered here for you. Vital things to remember about global warming! References are omitted from the following excerpts, and color highlights added. Before looking at the IPCC’s forecasts, we must know how they describe them. Unlike the drama queens featured by the news media, their reports describe their data, conclusions, and forecasts in terms of varying certainty. This is also global warming! There is evidence from observations gathered since 1950 of change in some extremes. Confidence in observed changes in extremes depends on the quality and quantity of data and the availability of studies analyzing these data, which vary across regions and for different extremes. Assigning ‘low confidence’ in observed changes in a specific extreme on regional or global scales neither implies nor excludes the possibility of changes in this extreme. Extreme events are rare, which means there are few data available to make assessments regarding changes in their frequency or intensity. The more rare the event the more difficult it is to identify long-term changes. Global-scale trends in a specific extreme may be either more reliable (e.g., for temperature extremes) or less reliable (e.g., for droughts) than some regional-scale trends, depending on the geographical uniformity of the trends in the specific extreme. The following paragraphs provide further details for specific climate extremes from observations since 1950. It is very likely that there has been an overall decrease in the number of cold days and nights, and an overall increase in the number of warm days and nights, at the global scale, that is, for most land areas with sufficient data. 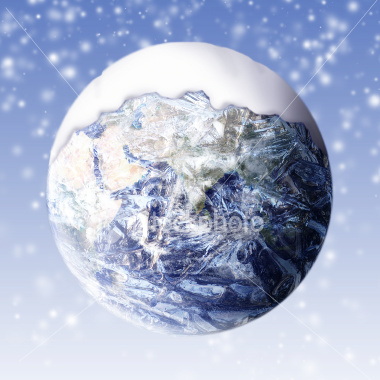 It is likely that these changes have also occurred at the continental scale in North America, Europe, and Australia. There is medium confidence in a warming trend in daily temperature extremes in much of Asia. Confidence in observed trends in daily temperature extremes in Africa and South America generally varies from low to medium depending on the region. In many (but not all) regions over the globe with sufficient data, there is medium confidence that the length or number of warm spells or heat waves has increased. There is low confidence in any observed long-term (i.e., 40 years or more) increases in tropical cyclone activity (i.e., intensity, frequency, duration), after accounting for past changes in observing capabilities. It is likely that there has been a poleward shift in the main Northern and Southern Hemisphere extratropical storm tracks. There is low confidence in observed trends in small spatial-scale phenomena such as tornadoes and hail because of data inhomogeneities and inadequacies in monitoring systems. Excerpt from the Technical Summary of the Second Order Draft of the IPCC’s AR5, leaked December 2012. See the full copy here. Extreme weather and climate events can be defined as those that occur above or below threshold values near the upper or lower ends of the range of observed values of a given variable. Definitions of thresholds vary, but values with less than a 5%, 1% or even lower chance of occurrence during a specified reference period (generally 1961–1990) are often used. A comprehensive discussion of observed changes, their causes, and projected changes in extremes is provided in TFE.9. Recent analyses of extreme events generally support the AR4 and SREX conclusions. It is very likely that the overall number of cold days and nights has decreased and the overall number of warm days and nights has increased on the global scale between 1951 and 2010 (with warming trends between 2.48 ± 0.64 and 5.75 ±52 1.33 days per decade dependent on index). Globally, there is medium confidence that the length of warm spells, including heat waves, has increased since the middle of the 20th century. Consistent with AR4 conclusions, there have been statistically significant trends in the number of heavy precipitation events (e.g., 95th percentile) in some regions. It is likely that the number of heavy precipitation events has increased in more regions than it has decreased since 1950. Confidence is highest for North America where the most consistent trends towards heavier precipitation events are found. New results indicate that the AR4 conclusions regarding global increasing trends in hydrological droughts since the 1970s are no longer supported. There is low confidence in observed large-scale trends in dryness (lack of rainfall), due to lack of direct observations, dependencies of inferred trends on the index choice and geographical inconsistencies in the trends. There continues to be a lack of evidence and thus low confidence regarding the sign of trend in the magnitude and/or frequency of floods on a global scale. Recent re-assessments of tropical cyclone data do not support the AR4 conclusions of an increase in the most intense tropical cyclones or an upward trend in the potential destructiveness of all storms since the 1970s. There is low confidence that any reported long-term changes are robust, after accounting for past changes in observing capabilities. However, over the satellite era (since 1979) increases in the intensity of the strongest storms in the Atlantic appear robust. There is still insufficient evidence to determine whether robust global trends exist in small-scale severe weather events such as hail or tornadoes. Mean significant wave height has likely increased since the 1950s over much of the mid-latitude North Atlantic and North Pacific, with winter season trends of 8 to 20 cm per decade, although confidence is limited by the lack of observations. Mean significant wave height likely increased by up to 2.5–5% per decade over much of the Southern Ocean since the mid-1980s, with the strongest changes between 80°E– 160°W. It is likely that extreme sea levels have increased since 1970, and this is mainly attributable to rising mean sea level. “Explaining Extreme Events of 2011 from a Climate Perspective“, American Meteorological Society, July 2012 — Some of these articles do not distinguish between the natural warming of the past two centuries and AGW. Current wildfires are neither unusually large or the largest on record, especially considering the US Forest Service’s 1905 – 1974 policy of fire suppression, leaving forests vulnerable to massive fires that restore natural conditions. See this history of the 1910 fire season (over 5 million acres burned), this history of the Forest Service’s prevention programs, and the Wikipedia’s list of the largest forest fires in North America. (5) Some vital things to remember about global warming! Articles discussing climate change that question dogma about catastrophic anthropogenic climate change — even those just citing peer-reviewed research, are met by screams of denialist — you don’t believe in global warming! This is an ignorant rebuttal, as few (probably nobody) among the better known skeptics (professional or laypeople) “deny” the history of global warming. The major global temperature measurement systems all tell — broadly speaking — the same story since the late 1970s: two decades of warming, followed by a pause. Over longer time periods the Earth has warmed and cooled, depending on the duration selected. The debate among scientists concerns the causes and magnitude of past warming, and drivers and forecasts of future warming — and its effects. Update about global temperatures. 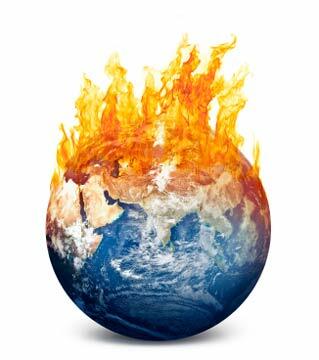 Watch our world warm!, 5 January 2013.